What if the journey to BEING the infinite being you truly are, is the greatest adventure you will ever go on? If you had the steps to being…would you take the journey? As part of Access Consciousness®, Dr. Dain Heer has created a unique series of classes on the elements of being that are designed to empower you to know that YOU are the creator of your life and living. In these evening classes, called the Taste of Being, you will get to explore what is possible in these three signature classes, The Being You Changing the World Event, the Energetic Synthesis of Being Class and the Symphony of Possibilities Training. During these hours, you will also get access to real, pragmatic and dynamic tools, and the energetic awareness to create the life you’d truly like to have and the world you would truly like to live in! In addition to the tools of Access Consciousness, Dain uses elements of his unique energetic transformation process, called The Energetic Synthesis of Being (ESB) in these classes. By working on one person in the room, he is inviting everyone to the change that is truly possible. What if YOU are far greater than you’ve ever given yourself credit for? What if we, together, have the capacity to BE what creates the future we know is possible? 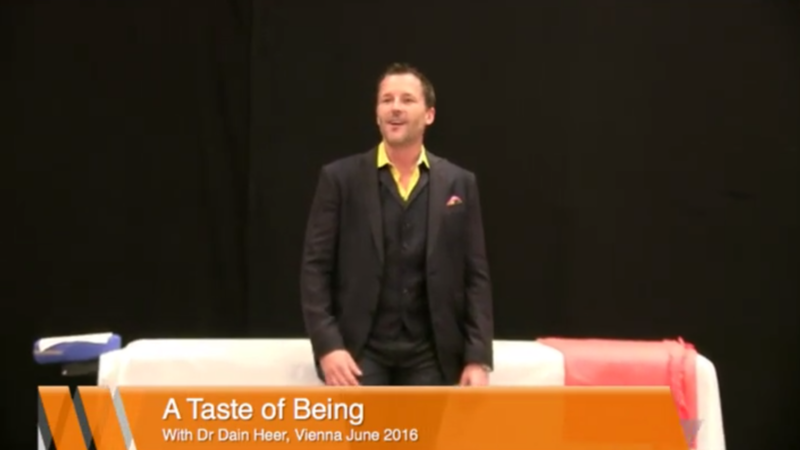 You’re invited join Dr. Dain Heer for a unique taste of truly being you.